... is great for EVERYBODY! " 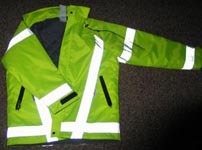 With our reflective clothing products- we got you covered! 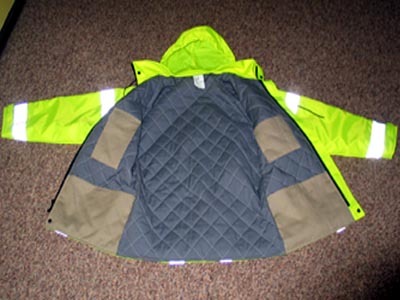 "We are proud to supply you with a COMPLETE line of US made reflective clothing and gear! 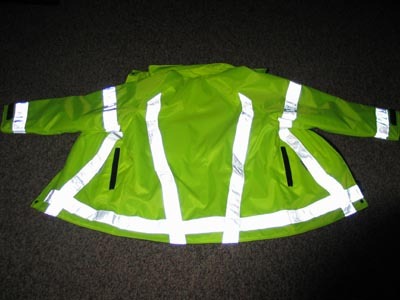 Not only are these reflective vests, jackets, pants or other reflective clothing long lasting and high-quality, their vibrant colors, and reflective banding comply with the NEWEST ANSI regulations! We offer a full line of clothing custom made in the USA, or ready-made imported vests. Use the menu to the left to choose, or choose below, thanks! 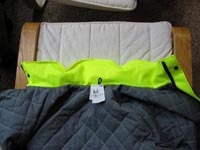 Details: A COMPLETE line of High-Quality US made reflective clothing! Wait!! Before you leave to see the clothing selections, check out our Seasonal Special!  Reflective 4x4, round & more! All 3/8 thick- the thickest! Our BEST winter Jacket, $5 off and free shipping over $300! The highest quality, most adaptable, most visible & most protective jacket we have EVER offered! U.S. Made jacket, custom made just for you, so order early! Quilt lined for great comfort and warmth in ANY condition! Outer pockets with heavy duty zippers Multiple INNER pockets also! 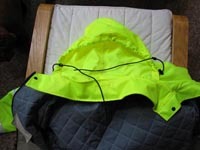 Rain hood easily rolls up into its own pouch when not needed! Quilt lined for comfort in ANY condition! Multiple INNER pockets also! BONUS! all orders of $300 + get ¢.01 Shipping! Use the menu to the left to choose, or choose above, thanks! "We are VERY proud of our products, and the products that we supply. and make sure our suppliers do the same ... we ONLY sell the best!"